This is a must do! We saw so much of the city and our tour guide was fantastic! This is a lasting memory, be sure to do this tour! My wife and I joined George and a small group for an excellent and fun tour of Athens. Practical, educational and enjoyable, we highly recommend it. One of the great tours of all time. We saw so many sites from the ease and comfort afforded from the saddle of these electric cruises. How guard, George, was incredibly engaging. The bikes were easier to ride. Athens is very hilly. We saw people on regular bikes. Most of them were not having fun. 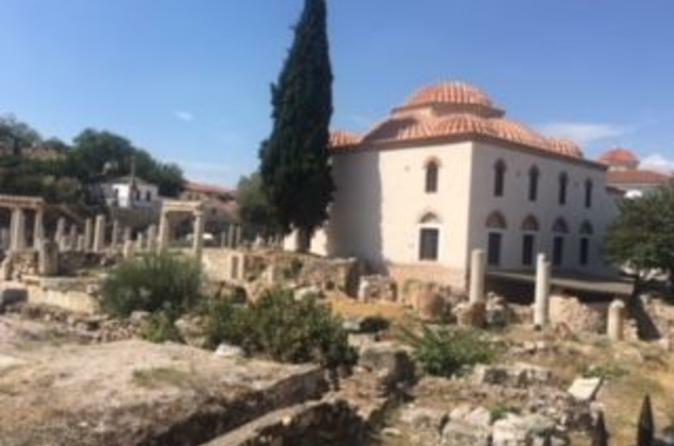 The tour meanders through the trails of this ancient city like a hot knife through feta. We saw the changing of the guard in front of the palace, the roman baths, the acropolis, mars hill and so much more. The tour was very safe, rarely going on Athens's notorious busy traffic choke roads. The outing was really fun and safe. We went in June so the crowds were not bad. Unfortunately, the National Garden was closed so we missed riding through the park. Highly recommend! George was a nice tour guide and took us to see the important sites around Athens. We were able to see the weekly changing of the guard and managed to avoid the busy streets and stay safe. He took us for some great photo opportunities and we learned a little more history than we already knew. George was such a great tour guide. We had a group of 7 people and he took us all around the city and taught us all about Athens history. Then he gave us some awesome suggestions on other places in the city to spend our time while we were there. I definitely recommend doing this tour! Great bike ride. Our guide navigated us through busy streets of Athens it happened to be Greece independence day and the crowds were out. Great experience. Did this tour on a rainy day with 3 teenagers ...so we were expecting a lot! The tour is very informal and George, our guide, delivered the perfect balance of factual information and entertainment. 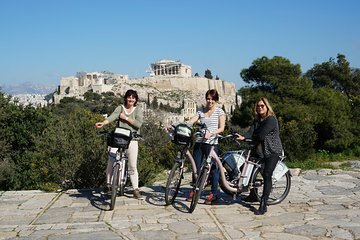 The bikes are great fun, easy to ride and make getting around hilly Athens easy. We got a flavour of what Athens is about so that we could return to the things we wanted to see more of later in our holiday. George also gave us recommendation for places to eat and drink ....all of which were spot on! Great afternoon!! As ever the tour guide is the key element. George was very knowledgable and fun. Excellent tour. Highly recommend. Our tour guide was very nice and interesting and went out of his way to make sure we had a good time. Also was very helpful recommending other things to do in the city.